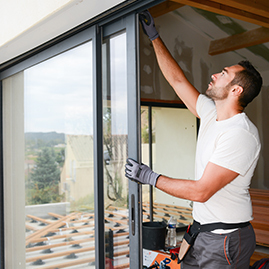 When you need a garage door repair, replacement or installation, you can count on the experts at Door Pros to come knocking with our quality products and unmatched craftsmanship. We are your one-stop shop for garage door services in the Coachella Valley. You use your garage door—hard. Now, it’s making strange noises loud enough to wake the neighbors. Or it’s only opening or closing halfway and stopping. Or, worse yet, it won’t budge. No matter what garage door repair service you need, the experts at Door Pros will size up and fix the problem quickly and efficiently. 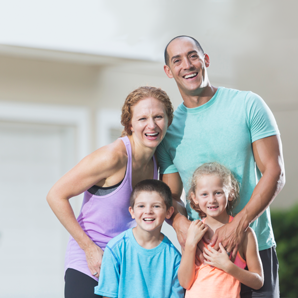 We will do whatever it takes to repair your door—but we also have the skills and expertise to replace and install a new garage door when that’s the most sensible decision. So, when your door is beyond repair, there’s no need to come unhinged. 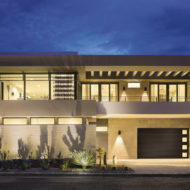 If you live in one of the Coachella Valley towns of Indian Wells, Palm Desert, La Quinta or Rancho Mirage, we’ll set you up with the perfect garage door replacement and garage door installation at an affordable price. We also specialize in garage door staining, painting and refinishing. We understand that safety, convenience and reliability are important. But we also realize that choosing a garage door that honors the architecture of your home and your neighborhood is important to many of our customers. 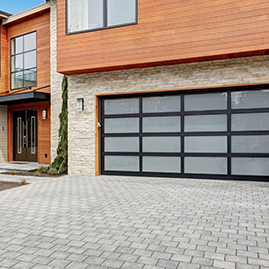 Whether your home is mid-Century or modern, we’ll help you find the garage door that maintains your architectural pedigree. We’ve carved out an entire division committed to garage doors because they play such an important role in the lives of Southern Californians. Our team of professionals has the know-how and experience to handle any garage door question or challenge you throw our way. Our techs are not only good at what they do. They love what they do. And their energy is infectious. At Door Pros, we realize that trouble rarely comes knocking at convenient hours. That’s why we offer emergency garage door repair 24 hours a day seven days a week. We also offer same-day service and a 42-point garage door inspection. We’ve built our reputation on being there when you need us and getting the job done right. You’ll find our friendly and capable team throughout Rancho Mirage, Indian Wells, Palm Desert, La Quinta and across the area. Our garage door openers aren’t only convenient. They keep us out of the blistering heat in the summer and the frigid cold in the winter. They also keep us safe, allowing us to move directly from our garages to our homes. Door Pros offers models that are the ultimate in safety and convenience, including LiftMaster, Chamberlain, Craftsmen, Genie and Guardian. We can handle all of your garage door opener needs, including garage door opener installation and repair. 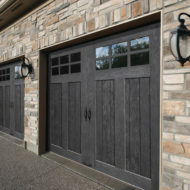 Our expertise goes beyond residential garage doors and openers. 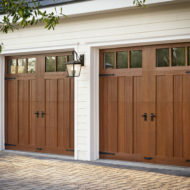 We have the talent and technical know-how to repair, replace and install commercial garage doors, too. All of our satisfied customers can’t be wrong.